The interior of the historic Pabst building was opened to create a dramatic, five-level lobby. 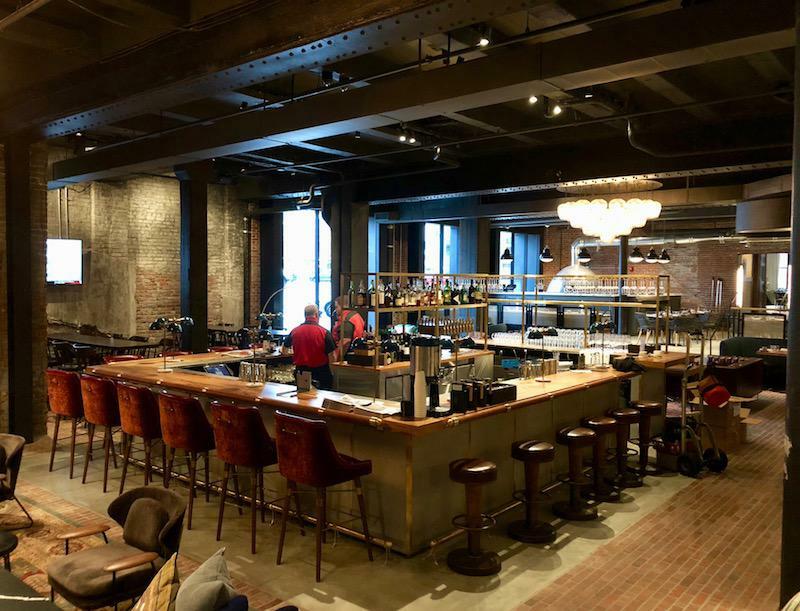 The bland exterior of the new Crossroads Hotel at 2101 Central may fool you, but once inside the historic brick shell you’ll discover and enjoy a post-industrial chic vibe that’s right out of New York’s famed SoHo District. The partnership between Chicago-based Simeone Deary Design Group and el dorado architects has created a welcoming blend of warm, dramatically-lit spaces that incorporate the industrial roots of the former Pabst and Pendergast buildings, once a bottling plant and warehouse. 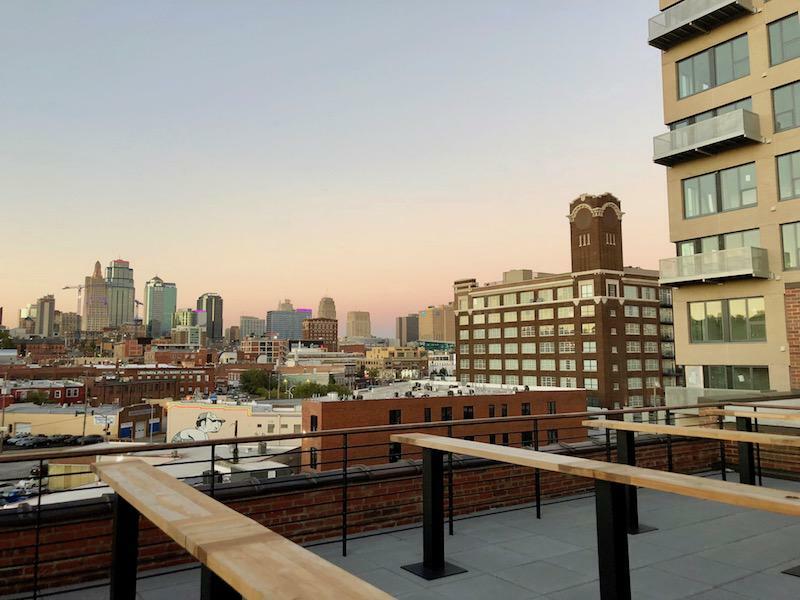 “We hope to help Kansas City re-engage how to interact with hotels the way restaurants and lobby bars are used in New York and San Francisco,” said Jeremy Bennett, lifestyle director at the Crossroads Hotel. Cobblestones reclaimed from the Pabst pave the floor of XR, its lounge bar, while original plank flooring was reused on the facade of the dramatic, five-level lobby. The XR bar is intended to welcome hotel guests and neighborhood visitors alike. El dorado architects created that skylit atrium space by cutting through the floors of the former Pabst building leaving behind the original steel beams as industrial sculpture. By opening the interior of Pabst, Aparium Hotel Group of Chicago, the developer, was able to create 131 rooms, many of them with windows opening to the atrium. 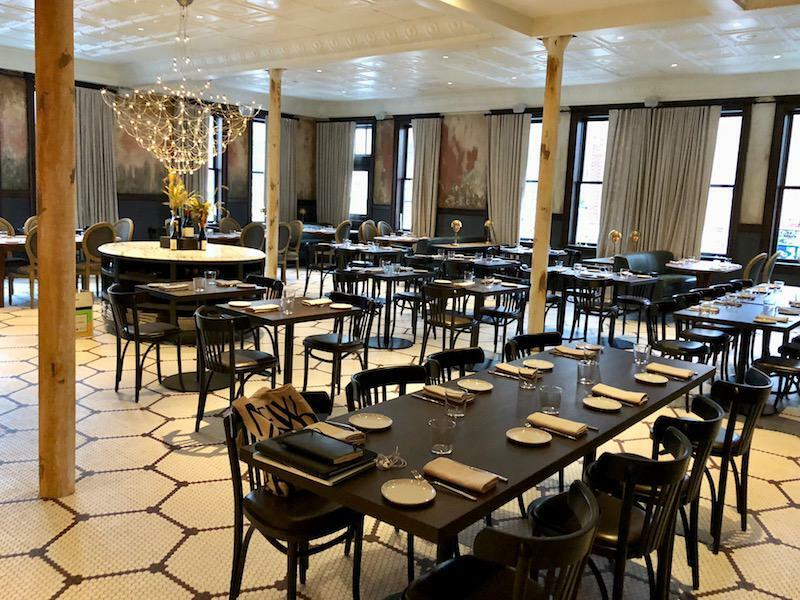 “We needed to get light into the middle of the building to create more rooms,” said Jeremy Bennett, lifestyle director at the Crossroads Hotel. Like the newly-opened Hotel Indigo at 2020 Grand, Aparium wanted to capitalize on its new hotel’s location in the Crossroads Arts District. To the right of the hotel entrance is a 2,000 square-foot gallery where local and regional art will be displayed. The space also includes a working studio for artists, the first being Rashawn Griffin, an installation artist who’s participating in the current citywide Open Spaces art festival. The art gallery off the entrance features local artists, the first being Rashawn Griffin. The XR bar promises to be a cozy place for both hotel guests and anyone else who wants to drop by. Persian rugs cover part of the cobblestones along with comfortable lounge seating. Next to it, there’s a cafe dominated by a wood-burning stove and wide windows opening to Central Street. “We want to become part of the Crossroads neighborhood,” Bennett said. “We want the bar and atrium to be a place for people to come for a meeting, have a happy hour and maybe wind up on the roof. The Percheron rooftop bar is scheduled to open next spring, the new ARTerra apartment tower is on the right. And yes, there’s a spacious rooftop bar called Percheron that includes a bocce court and great views of the downtown skyline. It’s named after the breed of work horses that once hauled the beer wagons. It’s also next door to the new ARTerra apartment tower nearing completion. Percheron however, is not expected to open until spring. Continuing on the first floor, Lazia, a modern Italian steakhouse, occupies space in the former Pendergast building. The 75-seat restaurant continues the post-industrial feel with old tile flooring and a tin-stamped ceiling. One of the old bank vaults has been reused as a private dining room for eight, and there’s also another separate dining area for groups up to 18. An overflow room also is available for small meetings. The Crossroads Hotel also has a ballroom area that seats up to 150 people or has open space for 300 people. A big emphasis has been placed on using unique, locally-created products throughout the public and private spaces. The Lazia Italian steakhouse in the former Pendergast building seats 75 in its main dining room. Candles were made by Convivial, the guest room bars are stocked by liquor from J. Rieger & Co. and chocolates from Christoper Elbow, and Mercy Seat Tattoo created designs for the guest room wallpaper. Foxtrot leather goods designed “Do Not Disturb” door hangings and valets for the room. The most over-the-top guest areas are the Pendergast suite and its companion H.S. Truman hospitality suite. The Pendergast space includes a pool table, sitting room, king-size bed and 1 1/2 baths, once of which has a dartboard above the sink. The Truman parlor includes a small kitchen, poker room, ample dining room and a den with big-screen video. Parking for the Crossroads Hotel is handled by a valet service and there’s also a garage about a block away. The historic Savoy Hotel in downtown Kansas City, Missouri, re-opened Tuesday with a new name: 21c Museum Hotel Kansas City. “We never dreamed that there’d be more than one when we started,” says founder Steve Wilson, who launched the first 21c Museum Hotel in Louisville, Kentucky, in 2006, with his wife, Laura Lee Brown. 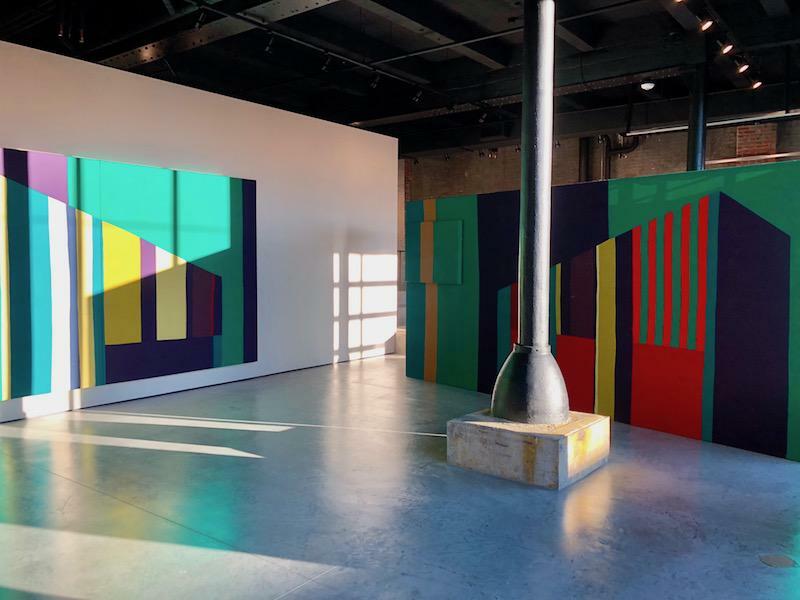 There are now eight boutique hotels in the chain, and each includes curated gallery spaces and site-specific installations of 21st century art. Historic Kansas City released on Tuesday its annual "Most Endangered" list of buildings and places that could be torn down, altered, or crumble "into obscurity." This year's list contains at-risk closed schools, historic churches, and apartment buildings as well as sites such as baseball legend Buck O’Neil’s home, the Epperson House on the UMKC campus, and the Aladdin Theater in the historic Northeast.